These trips can be enjoyed by anyone who leads a reasonably active life. It is not compulsory to have an experience. 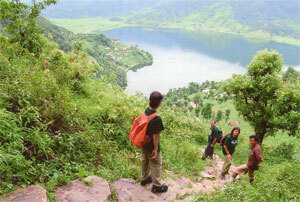 However, little walk is required for trekking. Transportation is by Car, Bus, Jeep or airplane. This grade applies for 3-5 days walking. It involves trekking to the altitude of less than 3000m. You have to take four to five hours daily walk (sometimes a bit longer) with some uphill climbs. Some previous uphill climbing is desirable. This grade applies for 6-8 days walking. The days are moderate, but some days are unavoidably slightly longer. This involves trekking to the altitude between 2000m to 3500m.. You have to take six to eight hours daily walking with longer ascents and the scramble on an exposed ridge and rough conditions under foot on occasion. This grade applies for 9-15 days walking. 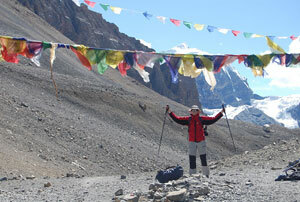 It involves trekking to the altitude of 3000m to 4500m. it demands 8 hours daily walk. These trekking are comparatively longer and more strenuous with long ascents and descents, steep gradients, rough ground, some backpacking. 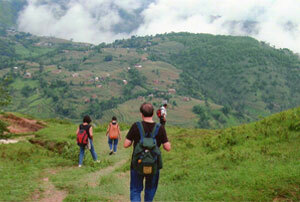 Therefore, Strong body fitness and stamina along with hill walking experience is required to enjoy the trekking. 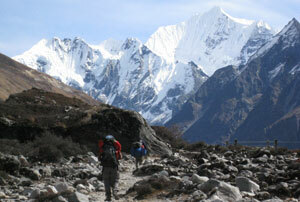 This grade applies for the duration of 17 to 29 days trek. This involves trekking to the altitude of 4600m to 5600m. You are supposed to walk for 25km per day. 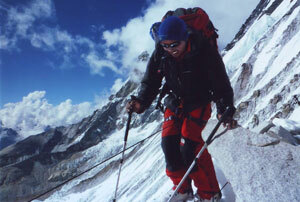 This trek is considered to be very hardest available in Nepal, but many people dare to do these types of trek. However, you must be very fit both physically and mentally for this trip. These types of treks are highly discouraged for those people who are suffering from asthma, high blood pressure, heart diseases. This type of trek is highly demanding in remote areas on a rough terrain and it may include some trekking peaks, maximum heights of 6,461m/21,192ft. You have to have at least basic knowledge of using crampons and ice axes. However, first time climber can also be accepted on some of the easy routes in these peaks. Medical certificate is required prior to acceptance on any climbing trek.